Big Sky Basketball: How Did Sacramento State Turn Their Season Around? 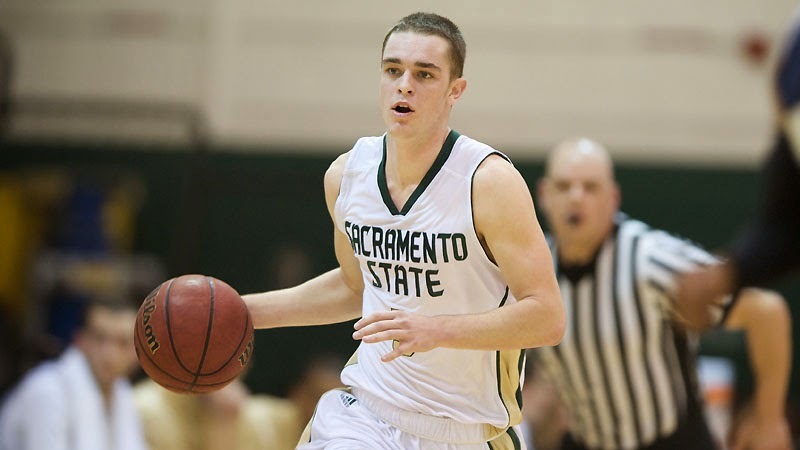 How Did Sacramento State Turn Their Season Around? On January 25th, Sacramento State fell to Northern Colorado in Greeley, dropping their record to 6-11 overall, and 2-6 in the Big Sky. It looked like another lost season for the Hornets. Since then, all they've done is win 7 of 8, putting them at 9-7 in the Big Sky and on the verge of a conference tournament berth. In that time, they shocked Weber State, and beat North Dakota and Northern Colorado (convincingly), who have often looked like the second and third best teams in the Big Sky. So, how have they done it? The first factor, and perhaps the biggest, has been the schedule. The early portion of their Big Sky slate was tough, with six of their first eight on the road, including road trips to Montana and to the UNC/UND swing. The fact that they were 2-6 during that time (they played two home games, beating EWU and losing to PSU in overtime) is not that big of a surprise, because that is a tough slate. Things obviously got easier. Of the 7-1 stretch, they have played six home games (6-0) and two road games (1-1). They avenged their loss to Portland State (but lost at EWU, the reverse of what happened when they hosted the teams), and then won six at home. As noted, it wasn't an easy stretch of home games, as they beat arguably the top three teams in the conference not including themselves, but they did benefit from a long stretch at home. To put it in perspective... that 0.991 PPP would be 8th in the Big Sky for the year, while the 1.166 PPP would be far and away the best in the conference. Using conference play only, the 0.991 PPP would rank 10th in the Big Sky, while the 1.166 PPP would be a close second behind Northern Colorado. If they had a 1.166 PPP all year, that would rank in the top 20 in the nation. The defense has gotten a little better too, going from 1.106 PPP before the steak, to 1.053 PPP since the streak started. In the Big Sky this year (which is scoring at 1.09 PPP for the year, second highest in the NCAA among any conference), that 1.05 mark is actually pretty good. It's not hard to see their strengths - they have the best backcourt in the Big Sky, with both Dylan Garrity and Mikh McKinney putting up great junior seasons. Garrity has been fantastic throughout his career (he is a great shooter and solid distributor), so his stardom is no surprise. He has increased his three-point percentage to a deadly 46% rate, while shooting it more than he ever has. That has been huge for them, because every shot he takes is a good shot for them, for the most part. McKinney has been more of a surprise... in his first season last year, he showed flashes of being a nice off the dribble with a outside shot that was at least good enough to keep defenses honest, along with a good ability to get to the line. This year, he has grown in many ways, and might be one of the more improved guys in the Big Sky. While his outside shot hasn't been falling (hi 3PT% is down from 37% to 31%), but he has become a better finisher, shooting 54% on two-point attempts, up from 41% last year (that is HUGE). He has maintained his excellent ability to get to the line (and shooting 85%). He has also grown to be more of a distributor... while Garrity's assist rate has dropped, that is due to McKinney taking on more playmaker duties, as his Assist Rate jumped from 20.2 to 29.2, another huge jump. The frontcourt has always been a question mark, but that has picked up recently, as Zach Mills has played well, and Eric Stuteville is becoming the reliable option we thought he would be. So, will the success continue? Yes and no. They travel to take on Weber State and a desperate Idaho State team this weekend, and 1-1 would be a success. Then they are at home to take on the Montana schools. The guess here is they finish 11-9, around the 5th seed in the Big Sky tournament. Going forward, they have a chance to make some noise in the Big Sky tournament, because they have a great backcourt duo, and an emerging frontcourt. They are an offensive machine over the last month, and the defense has looked better too. They aren't getting a ton out of their seniors either, so it's not out of the question that they could be a favorite heading into the Big Sky next season, a thought that would have been inconceivable a month ago. It's been a rapid rise for the Hornets, and the best should be yet to come. Good write-up, thanks. Go Hornets! Hornets are playing great right now, believe they can beat anybody, peaking at the right time..